Ceres Power Holdings has reported a significant increase in revenue for the year ending June 30 2017, £4.1 million versus £1.7m for 2016, but still has a loss in earnings before interest, depreciation and amortisation of £10.3m (2016: £11.5m). Ceres’s strategy is to form partnerships with large manufacturers to whom it will sell or licence its product, the SteelCellTM. The cell itself is quite small, so that to make a commercial unit several must be stacked together along with the auxiliary equipment. The design and testing must suit the particular application. Four of these partnerships have already been lined up, with the goal of adding a fifth by the end of the year. 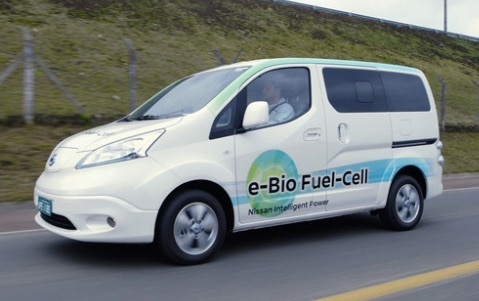 One is a consortium lead by Nissan, but which has received funding from Innovate UK, to develop a stack that runs on bio-fuels. 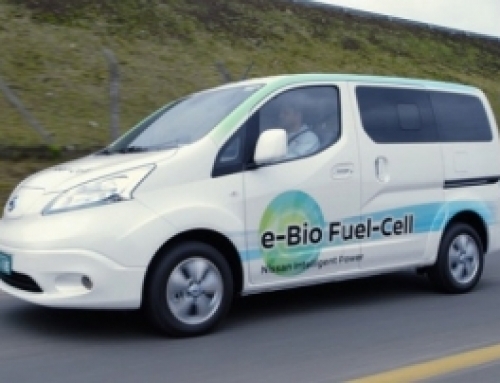 Nissan have already demonstrated their e–Bio Fuel Cell car in Brazil. This runs on ethanol, which is readily available in Brazil and elsewhere in the Americas, and has a range of 375 miles. Nissan’s goal is to bring out a commercial model in 2020. The second is a consortium led by Cummins, and backed by the US Department of Energy, to develop a large (5-10kW) system to power data centres and other commercial units. Data centres are great users of power, with numbers such as 2 or 3 per cent of US electricity consumption being quoted. Ceres is expected to receive US$2.6m over the project life. The fuel has not been mentioned, but is most likely hydrogen. The third is an as-yet-unnamed OEM, also to develop a large system, but in this case for combined heat and power (CHP) units for business. This partnership has a definite market and commercial goal in mind. Finally Honda, who has worked with Ceres for some time, is near the end of a two-year project to develop a power generator. These four partnerships provide a solid presence in Japan and the USA. In Europe, Ceres have been participating in the study by ene.field of over 1000 residential CHP units from different manufacturers (see recent Greenbarrel article). Ceres claims that their CHP saves £400 per year on utility bills. What does the SteelCell have to offer? 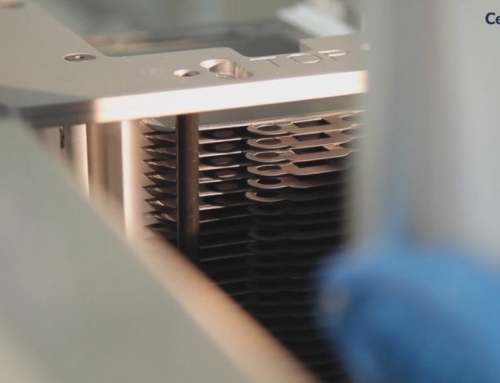 It is a solid oxide fuel cell, which is one of two types of fuel cell with a solid electrolyte that are near commerciality, the other being the proton exchange membrane (PEM). Cells with liquid electrolytes are harder to manage, but there are pros and cons to all technologies. Of the two the SOFC is slightly more efficient (~ 60 per cent), has a higher power to mass and is much more tolerant of impure hydrogen. This means that the input can be a wide variety of hydrocarbon fuels, which can be reformed to send hydrogen to the cell as well as giving off other gases. Ceres claim that emissions of CO2 and noxious gases are less than they would be from current production systems. 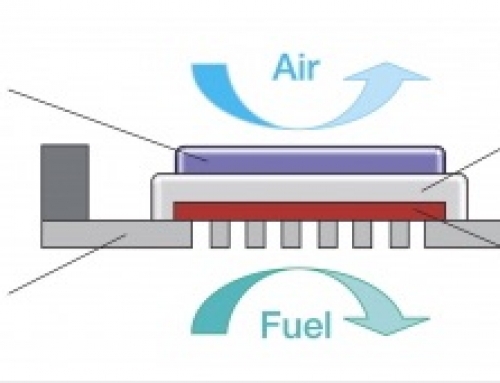 SOFCs operate at high temperature, above 5000C. 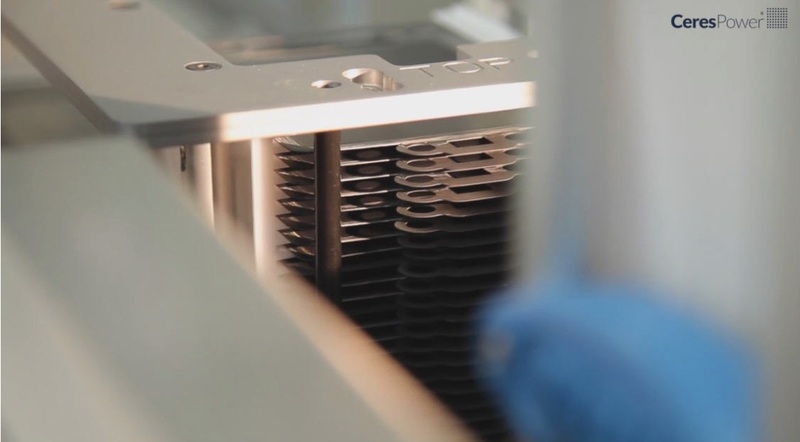 The SteelCell operates at the bottom of this range, which allows it to be made with standard steel (hence the name), thereby reducing cost and ease of manufacturing. Even so, degradation with time due to temperature is a concern, as is start-up time from cold. Ceres owns a large number of patents for the cell, which started life at Imperial College. Ceres clearly have some good opportunities, but in order to develop them extra manufacturing facilities are needed. The loss on earnings is therefore not expected to fall much in the near future. Net cash on June 30 was reported as £17m (2016: £7m). The last share placement was for £20m in October 2016. The company has a market capitalisation of £131m and employs 130 people mainly at its site in Horsham, West Sussex. The share price has been rising since June to reach13p, some 2p above its long-term average.